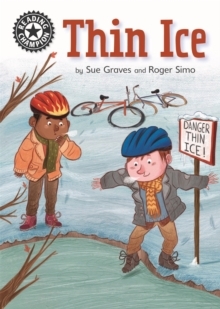 When friends Lenny and Ted take their bikes off to the woods on a cold, snowy day, Mum warns them to keep away from the icy pond. The trouble is, Lenny just can't resist it and ends up nearly paying a very high price... Reading Champion offers independent reading books for children to practise and reinforce their developing reading skills. Fantastic, original stories are accompanied by engaging artwork and a reading activity.